In mid-2017, the the Agence de Régulation des Télécommunications et des Postes (ARTP) issued a tender for a market study on the impact of OTT apps on the Senegalese market. To date, no report has been published. In June 2018, ARTP published a draft Telecommunications Code. Article 27 permits operators to undertake traffic management for economic reasons. This could potentially allow operators to block access to social media apps such as WhatsApp, Skype, Viber, Facebook Messenger and FaceTime. The government of Senegal has denied that Article 27 could be used to block social media apps (link). ARTP does not publish revenues for individual mobile operators. However, it does report voice and SMS traffic by month. For voice, the trend is fairly static (Figure 1) and for SMS the upward trend is increasing strongly (Figure 2). The only operator that makes revenue data publicly available is Sonatel. Quarterly combined revenues, fixed and mobile, for Sonatel Senegal have increased slightly since 2012 (Figure 3). 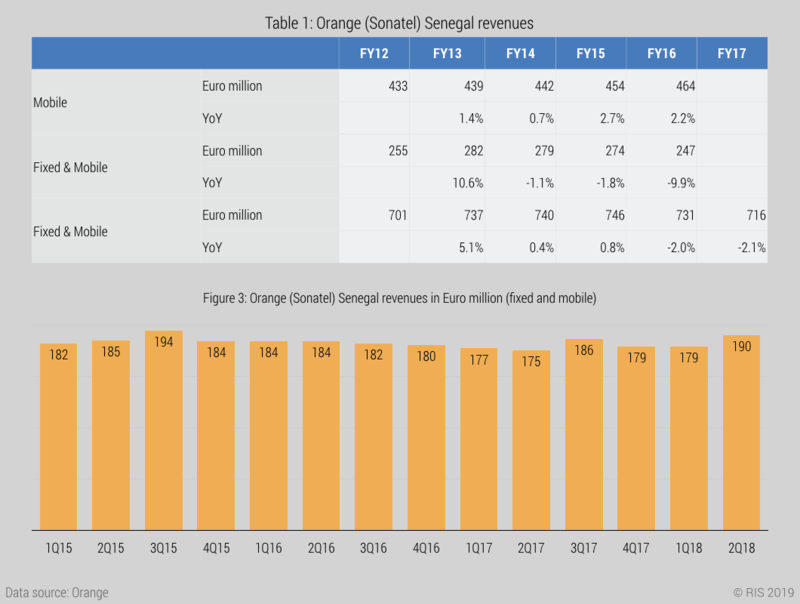 Orange published results for Sonatel disaggregated until the 2017 financial year. While overall revenue fell for the financial years 2016 and 2017 it is obvious that this is due to declining fixed-line revenues. Mobile revenues grew year on year since 2012. 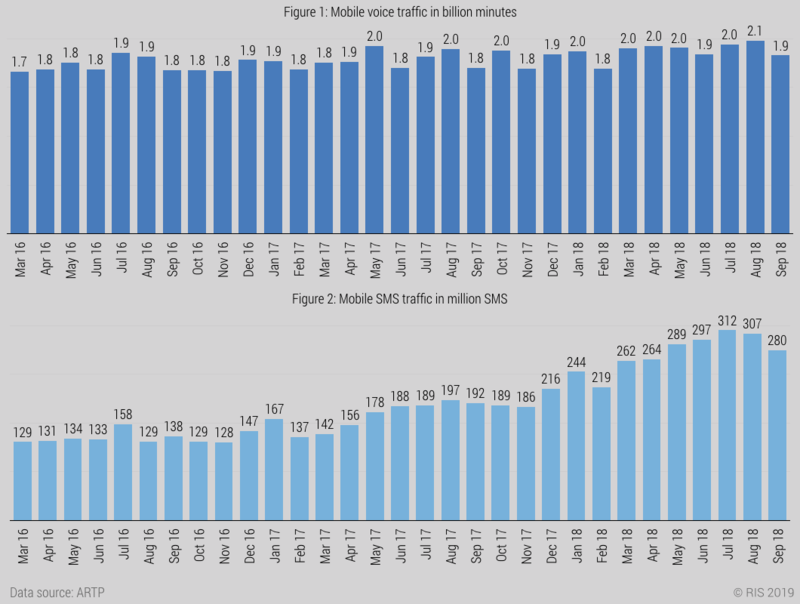 Voice traffic is static and SMS traffic is continuously increasing. Sonatel mobile revenues keep increasing since 2012. OTT apps have not had a negative impact on the market.